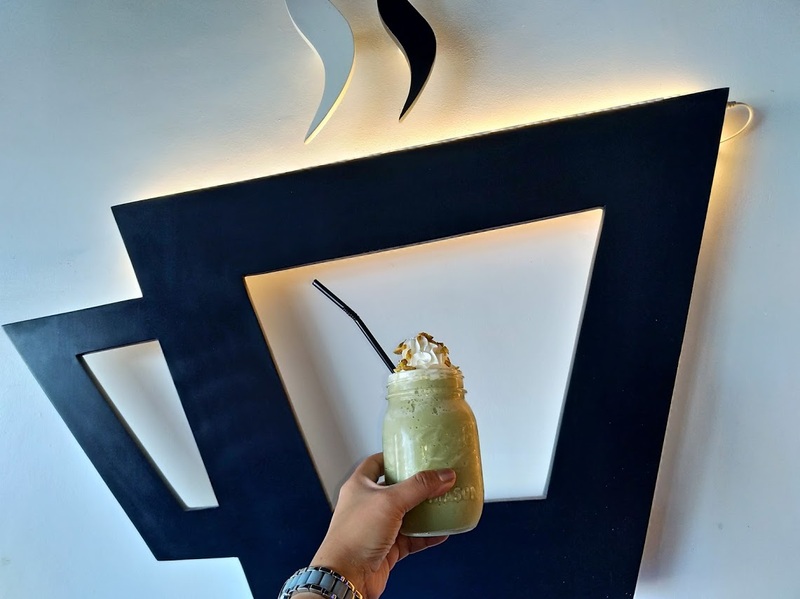 As you all know, I am addicted to coffee so one of the things that I set out to do is visit different coffee shops here in Iloilo. 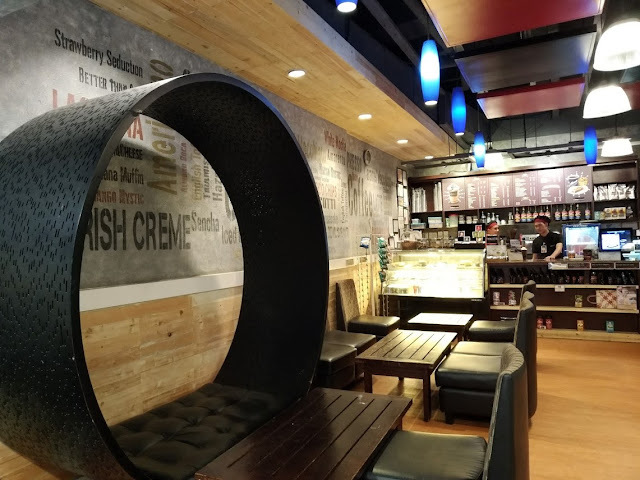 Thankfully, I was able to visit not just one but FOUR coffee shops in a span of one day. Yes, I do not have blood in my system. I have coffee instead. 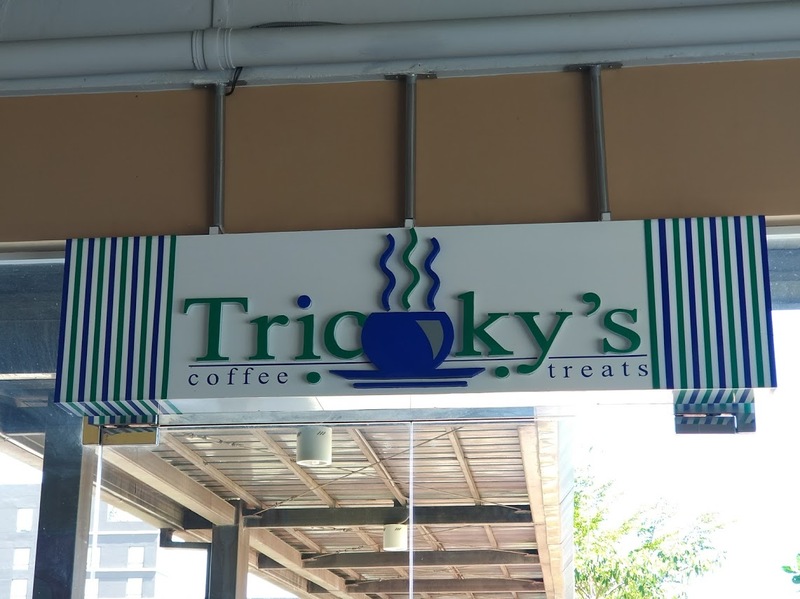 First stop was Tricky's Coffee and Treats located at F&B #4, Qualimed Building, Donato Pison Ave, Barangay. 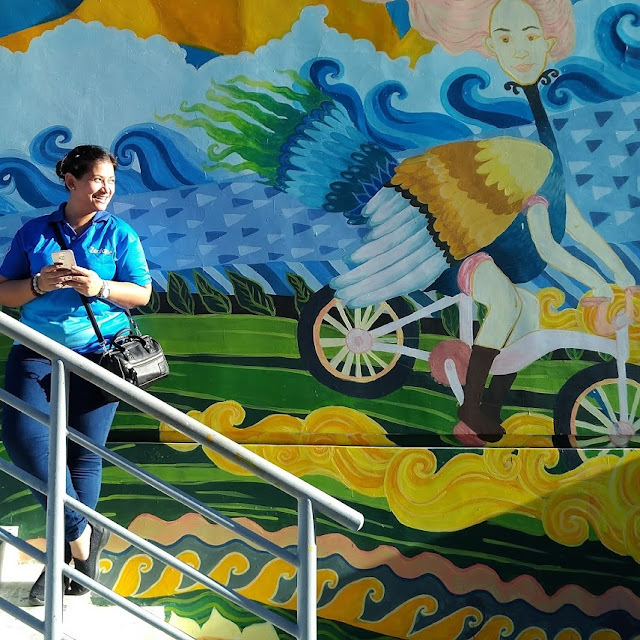 San Rafael, Mandurriao, Iloilo City, 5000 Iloilo. 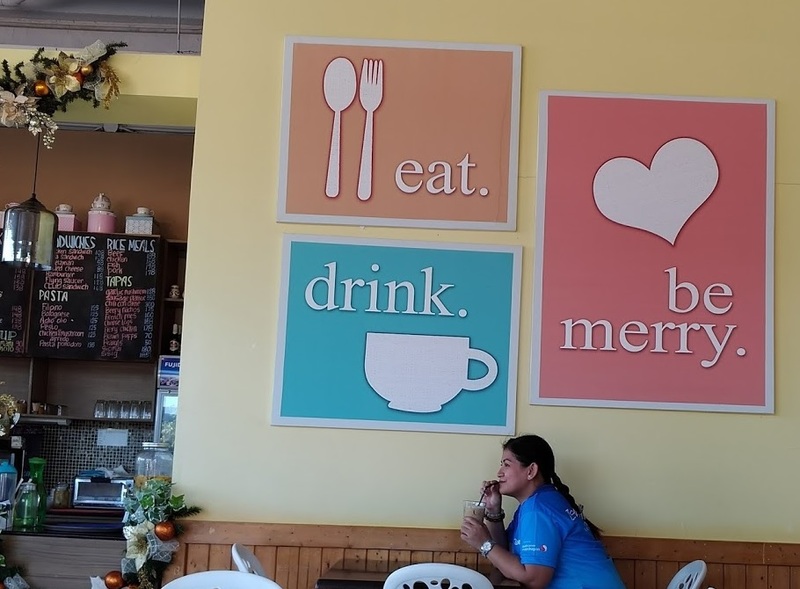 It is very modern but I liked this one nook where it states eat, drink, be merry. I had the Iced Cafe Latte. Coffee wasn't anything special but it wasn't bad either. For less than 100, this was a good deal for me already. 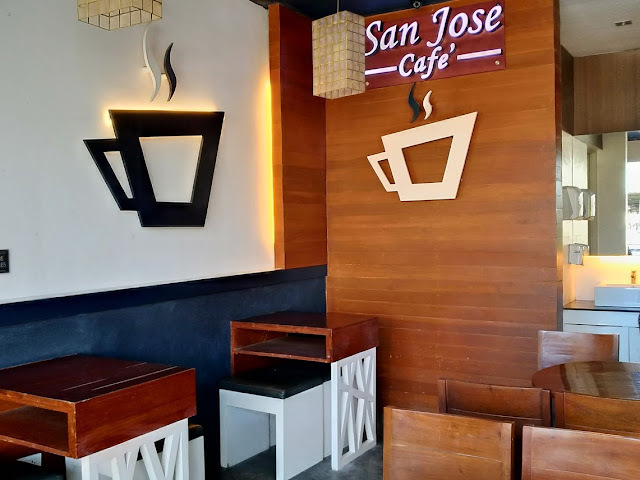 Next stop for me was San Jose Cafe which was right beside the first coffee shop. I had the Mint Pistacchio Frappe this time and I gotta say that for Php120, this one was the bomb. Third stop was at Madge Cafe which has been around since 1940. This means that this place has been existing for 77 years. OMIGOD. It's pretty long for a coffee shop. 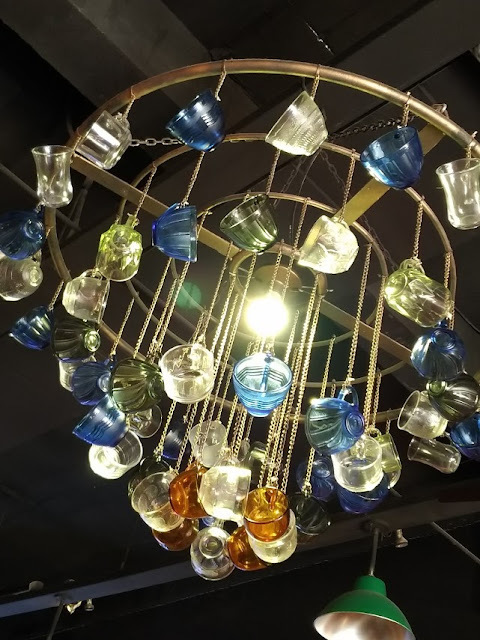 The first thing you would notice is the chandelier made of coffee cups. They also have a wall made of coffee mugs with names of the regular. 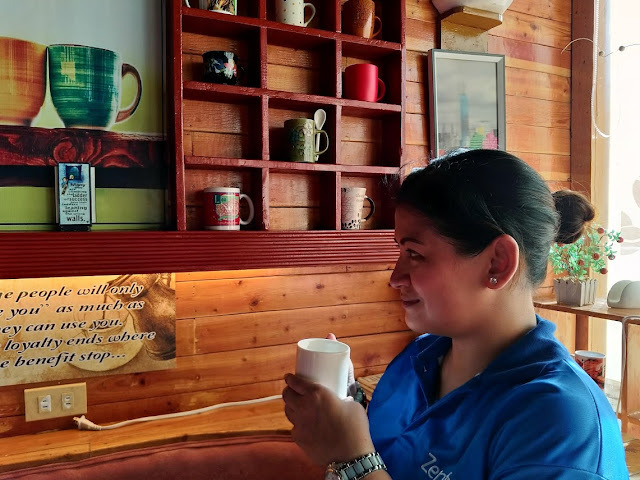 It seems that if you are a regular customer, they give you a mug with your name on it to use when you get your coffee fix. Awesome right? I had the media kape which is mild coffee. 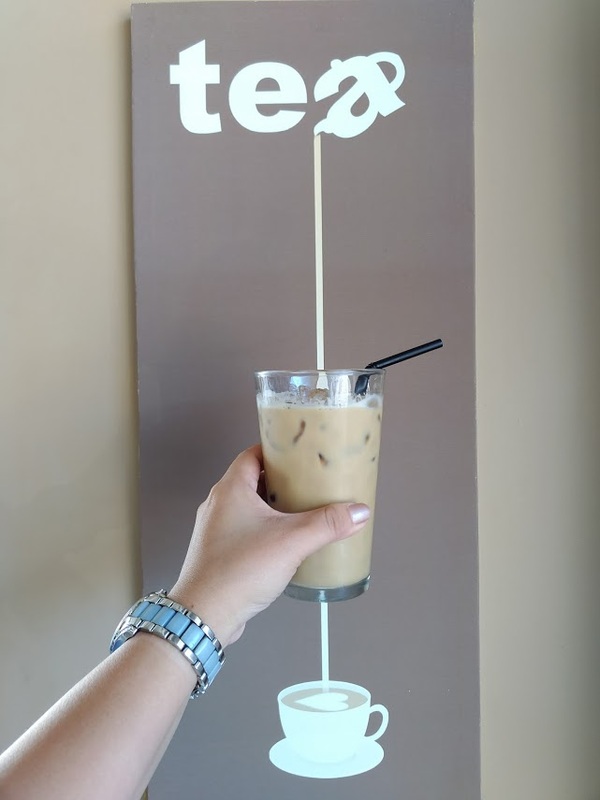 What makes Madge Cafe stand out is the way they brew their coffee the natural way. I don't know what that means but I would have to say that the coffee has a distinctly different taste. 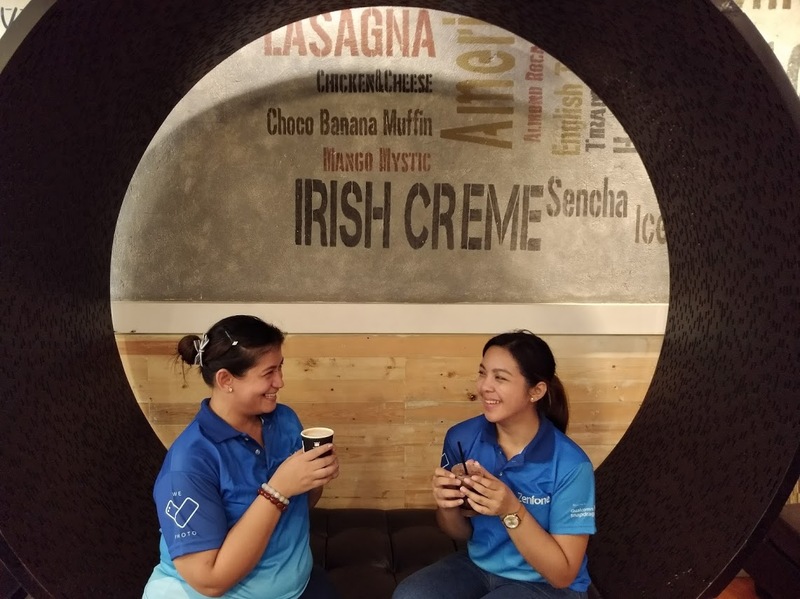 Last coffee shop for the day was the one beneath our hotel called Coffee Break. I had the Caramel Macchiato and I gotta say that this one was spot on. It only costs Php80 too. Of course, coffee is best spent with friends. Thank you so much Patty of www.pattyvillegas.com for being with me on this trip. Thank you so much Iloilo for being so wonderful. I hope to visit you again. PS. All shots are RAW and taken using the Zenfone 3 Zoom and Zenfone 4 Selfie Pro.